As I watch each episode, I do not remember a lot of this. I remember some. I do NOT remember the Union army being so inept and Genreal Mcclellan being such a cowardly do nothing. Ok, so far I am in 1863 and Lee just lost Gettysburg, so far this is the only major loss the Confederacy has taken. How in the world did the Union win? I know, I know they had the industry more money and soldiers. I get that, but those resources were being squandered so horribly. With much worse/less resources the South and Lee made this war last for years longer than it should have. The Union has so many glaringly inept leaders it is a shock the soldiers got fed. OH, WAIT, that was the women making sure the men were being fed, bathed, diseases being kept in check, bandages wrapped, and packages being delivered. LOL same kinds of things happen today. I am honestly shocked that the South did not crush the North in 1862 and the history of this nation changed forever. Was it luck that the North could hold out until Lincoln issued the Emancipation Proclamation after Antietam? Was it fate? Who knows? I do know that once the proclamation was given, it was only a matter of time before the former slaves and free Negroes would be given the opportunity they so desired. They would be given the right to fight their captors and achiever their true freedom. Not just for themselves, but for the rest of their brethren, and they did just that. This series, like most everything Ken Burns does is awesome. This is a mastery of so many skills. The conveyance of knowledge is great. The actors that shared their voices to this documentary have gone on to do so many projects and it is so fun to see what they have done since then. 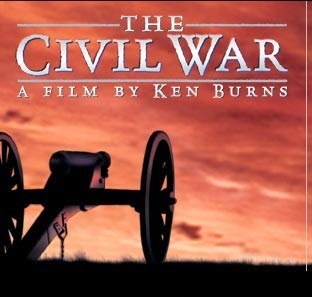 I do not know if it is my fascination with the Civil War or the just how good this was, but I think it will not be another 20 years before I watch it again.